We picked Istanbul for the food, and 5 Oda was for the breakfasts. They were supposed to be very good. I looked for the number. Then I realized it was six in the morning. They did not serve breakfast until eight. Part of what I love about traveling is the extra hours, when you cannot sleep and don’t want to; time to read, and to write, which so often slips away when the whole world is awake and moving. 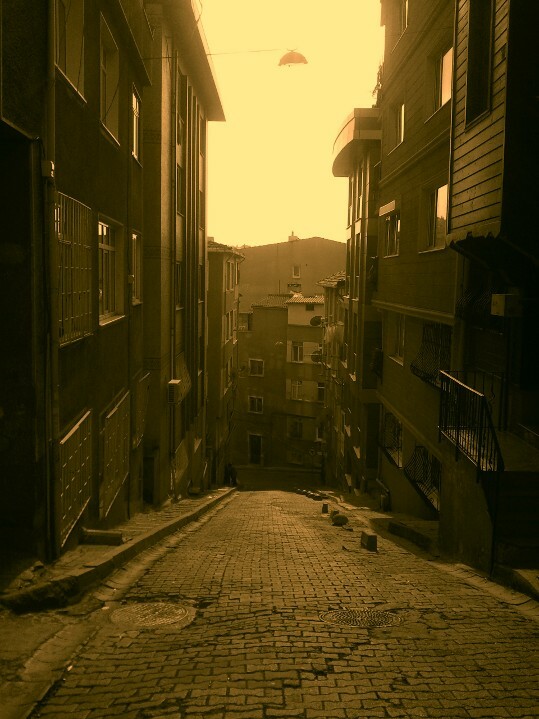 Before we left Seattle, my friend Thanuja said she’d been reading Orhan Pamuk’s Istanbul. I don’t usually read about a place before I visit it. Somehow, it always feels wrong– like reading the Cliff Notes to a great novel. But it was early morning and Z was still sleeping, so I opened the book. Istanbul. 1950’s. Pamuk as a small boy, staring at his Grandmother, having her breakfast. She always took her breakfast in bed. Little Orhan is learning how delicious it is to hold a piece of salty cheese in your teeth while you sip at your sweet hot tea. I imagined this woman, lying in bed, fat and stern and indulgent, reading her newspaper. What did she look like? What did any of them look like—the people of this city–in the mornings, in the privacy of their homes. The sun came up and so did breakfast. I could not count the dishes. There were eggs with the yolks like Indian gold. Tomatoes, cucumbers. Coffee and cream. Orange juice and cherry juice. A basket of breads, sliced, dark and light, and pieces of something that looked like a pretzel, covered in sesame seeds. I stared at these pieces and my mind was in the classroom, with little Orhan, looking into the school bag of the girl he adored, a simit on top, all of the sesame seeds it was covered in, collecting at the bottom of her bag. And then there was cheese: three types, soft, and hard and salty. And jam: quince, orange, rose. Honey, and sesame butter, and borek. The borek was my favorite. Layers of phyllo and dill and cheese…. I prepared to try Orhan’s grandmother’s trick, but realized, with everything I had, I only had coffee. I nodded. The cube of cheese was still in my mouth. I wonder if the boreks taste as good as my aunt Sultana’s. We call them borekas. Good travels! !